This Ultra Firm mattress is designed to give you the stiffest amount of support at the surface, which is ideal for stomach sleepers. A layer of high density foam enhances the durability of the mattress, with a layer of memory foam that provides conforming comfort as it shapes to your body. The innerspring system features individually wrapped titanium alloy coils designed to provide a perfect balance of conformance and support while reducing unwanted motion. A foam encased edge system creates a firmer, more substantial sitting and sleeping edge. This mattress also includes an exclusive Indulge Quilt with tension-relieving foams that will cradle you in complete comfort for a luxurious night's sleep. Box spring not included. Additional Information Individually Wrapped Titanium Alloy Coil Innerspring provides conforming comfort and support while reducing unwanted motion. Covering Quilted with .5" HD High Performance Foam, .5 oz Fiber, and .5" Marvelux. 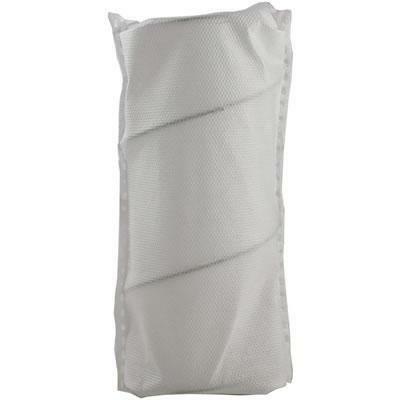 The luxurious silk-infused cover regulates heat exceptionally well. It is both warm and breathable which helps you maintain a constant sleeping temperature year round. 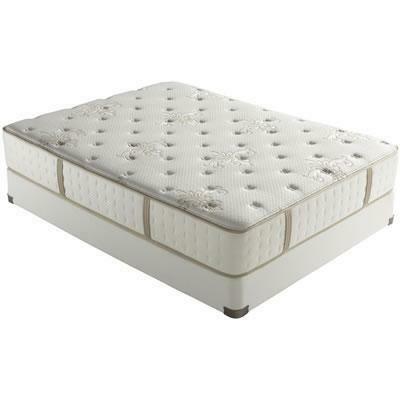 Support Layers 2.5" Foam Encased Edge System provides substantial support for a comfortable sitting and sleeping edge; 1.5 oz. Resilium base insulator.